Typography has the power to communicate beyond words. It can imbue nouns and verbs with nuance, it can conjure an era, it can make jokes, it can set off a film reel in your head that reminds you of a picture, a song, or fast forwards you to a pivotal moment in your life. 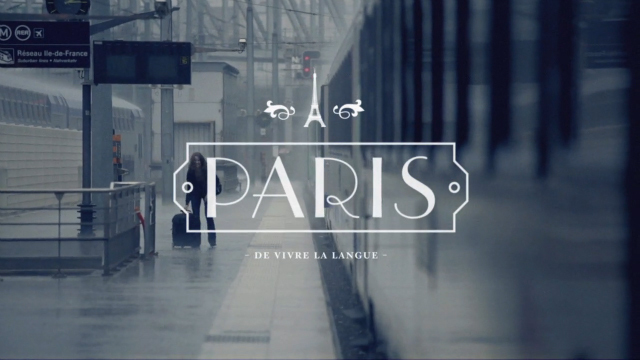 How do we interpret Paris with typography? In the example above, the designer chose Parisian (designed in 1928 by Morris Fuller Benton who also designed Hobo, one of the most ridiculous typefaces ever) to illustrate the city’s romantic, art deco past. You see the word Paris, and immediately sense a café with a weathered zinc bar, the jazz age, and if you’re American, the Lost Generation of Ernest Hemingway and F. Scott Fitzgerald. You think of Woody Allen’s Midnight in Paris. 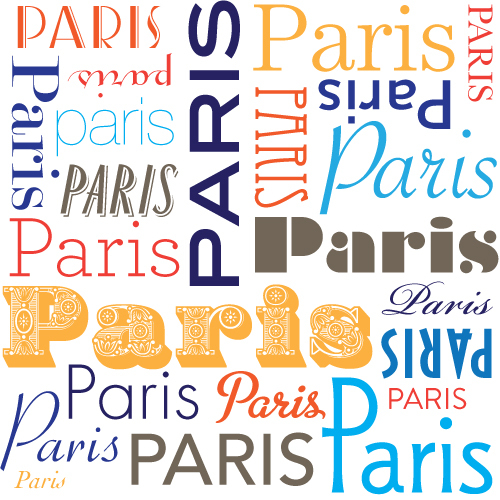 And because Paris is a different place to different people, and the city is constantly changing, there are hundreds of ways to render it typographically. You can evoke the orthogonal lines of the RATP, the urban grit of graffiti, the crisp curlicues of 19th century engravings, or Paris’ rich typographic history. The choice is up to you. What does your Paris look like?